Proclear Toric XR are monthly, soft contact lenses designed to correct high levels of astigmatism. Their unique moisturising technology ensures comfortable wear and perfect vision throughout the day. 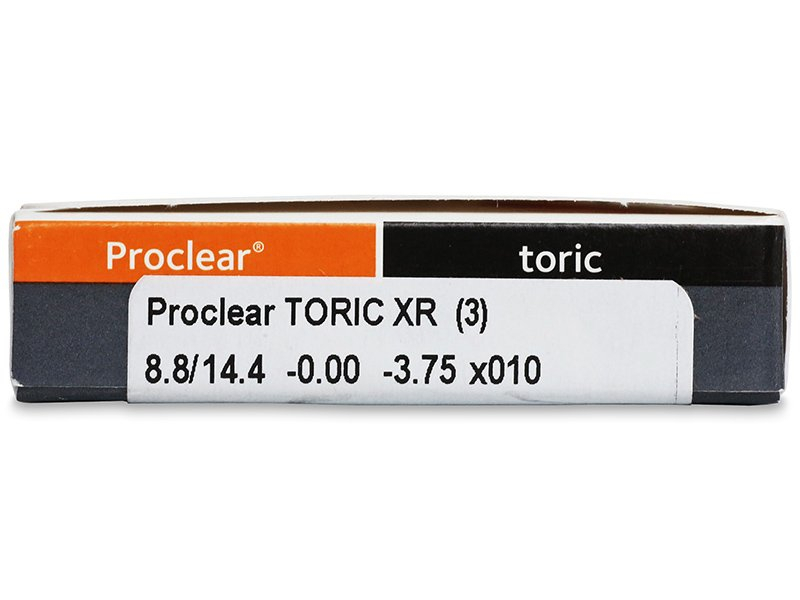 Proclear Toric XR are soft, monthly contact lenses for the correction of high levels of astigmatism. They are produced by CooperVision with high cylindrical values ranging from –2.25 to –5.75. This package contains six lenses, and overnight wear is not recommended. The patented PC technology provides all-day comfort and outstanding quality of vision. 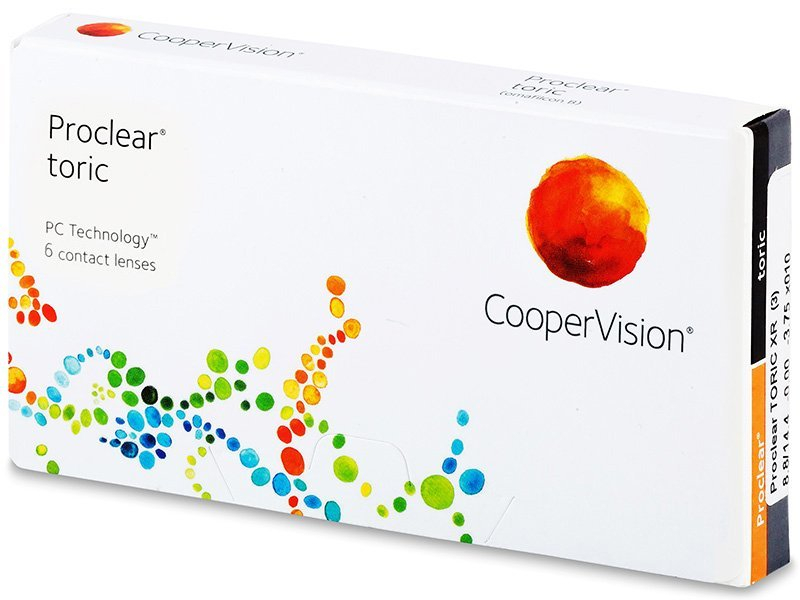 Their material composition makes these contact lenses ideal for users who suffer from the effects of dry eye syndrome. Compared to other soft lenses, Proclear Toric XR contact lenses retain triple the amount of moisture during the wearing period. This is an asset, especially for users who spend a significant amount of time doing computer work or in air-conditioned environments. Proclear Toric XR lenses are also available in a package of three lenses. My fave lenses, they're perfect when i'm at work all day. Now i dont have to wear my glasses when im working long hours. Reccomened by me optician but bought them on the internet cos they are a lot cheaper here. Do you do high astigmatism prescriptions in dailies Currently forced to wear monthlies 8.7 BC -6.50 -2.25x 180 left And 8.7 BC -4.75 -3.75x 015 right? Hi, For certain astigmatism lenses, we do! I'd like to refer you to https://www.alensa.co.uk/…ic-30-lenses We strive to accommodate every customer's needs and hope to have more options in the future. Thanks!